What a wild Saturday we had in college basketball!! 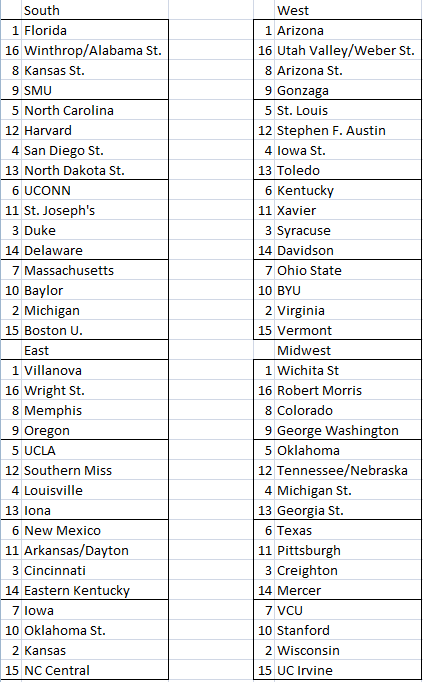 Quite a bit of movement, as well as our first few teams punching their ticket to the dance. Harvard won the regular season Ivy League title guaranteeing them a spot in the dance for the 3rd consecutive year, while Eastern Kentucky pulled off the upset by beating Belmont in the Ohio Valley Conference Championship. Nebraska made its way into the Last four in, which proceeded to knock out Providence at the moment after Dougie dropped 45 on them. Championship Week has officially begun and three more teams will punch their ticket on Sunday!